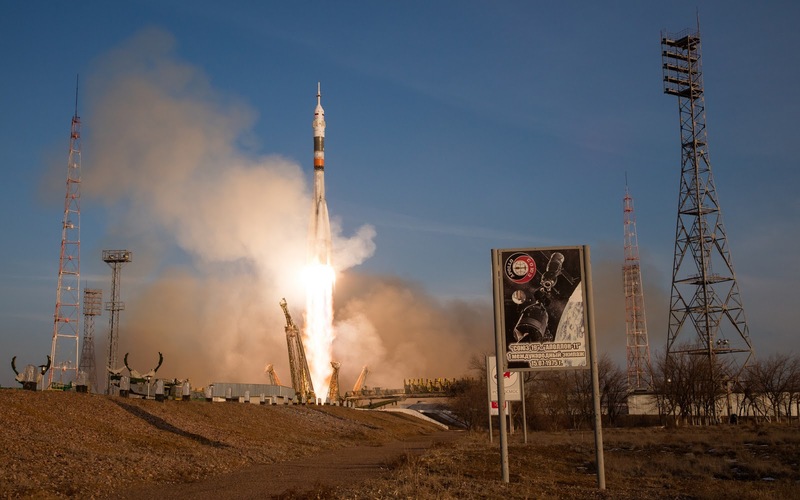 Hatches between the International Space Station and an arriving Soyuz spacecraft opened at 2:58 p.m. EST Tuesday, signaling the arrival of three new crew members, including NASA astronaut Tim Kopra. They will join other residents on the station to continue important research that advances NASA's journey to Mars, while making discoveries that can benefit all of humanity. Kopra, Russian Federal Space Agency (Roscosmos) cosmonaut Yuri Malenchenko and ESA (European Space Agency) astronaut Tim Peake launched from the Baikonur Cosmodrome in Kazakhstan aboard the Soyuz TMA-19M spacecraft at 6:03 a.m. (5:03 p.m. in Baikonur) and, after orbiting Earth four times, manually docked to the station at 12:33 p.m.
"The docking was carried out in the manual regime due to a glitch in the automated guidance system. The commander of the spacecraft had to take over controls and the docking was completed without any further problems," Alexander Ivanov, interim head of Roscosmos, told reporters at the Baikonur space center in Kazakhstan. 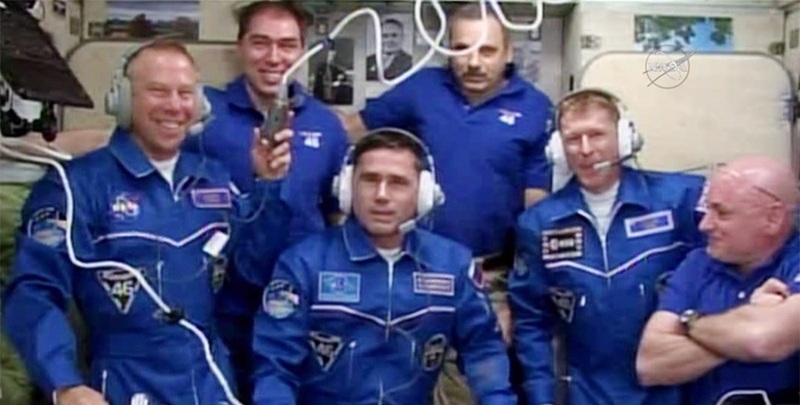 The arrival of Kopra, Malenchenko and Peake returns the station's crew complement to six. The three join Expedition 46 Commander Scott Kelly of NASA and Flight Engineers Sergey Volkov and Mikhail Kornienko of Roscosmos. During more than five months on humanity’s only microgravity laboratory, the Expedition 46 crew members will conduct more than 250 science investigation in fields including biology, Earth science, human research, physical sciences and technology development. Tim Peake is the first official UK ESA astronaut. Previous British astronauts include Dr Helen Sharman, the first Briton in space, who travelled to the Mir space station in a privately sponsored initiative in 1991. NASA astronauts Michael Foale, Piers Sellers, Nicolas Patrick, and private astronaut Richard Garriott, were born with British or dual citizenship, and travelled to space as US or dual nationals. Mark Shuttleworth holds dual South African and British citizenship, and flew to the Space Station as a private astronaut in 2002. The crew members are scheduled to receive several cargo spacecraft -- including multiple U.S. commercial resupply vehicles from SpaceX and Orbital ATK -- each delivering tons of food, fuel, supplies and research.